These cards were originally spoiled as part of the Wizkids Fan Appreciation event during the Origins Game Fair, but the images that were knocking about were too blurry to really discern the game-texts. I mentioned it in passing in my post sharing Andy England’s spoiler photo’s from Origins: this set is looking much stronger to me than previous Team Pack releases for one simple reason – the purchase costs. The two preceding team packs were largely a disappointment on this front. While there were some interesting game-texts on the cards but I didn’t consider them particularly economic for the game-texts. I’ve only really found myself using ‘Wong’ with any regular consistency, but would have probably experimented using versions ‘Dormammu’, ‘Clea’, ‘Dr Strange’, and ‘Loki’ if I felt the purchase costs were more favourable. This seems like a step in a better direction for Team Pack play-ability. Here’s a pretty serious meta card. A 3 cost Bolt character that blanks game-texts is attractive in itself, but when stood next to her most obvious comparison; ‘Dwarf Wizard – Paragon Zhentarim’, there’s some semantic differences that may prove hugely significant (semantic differences that I suspect will fill the forums for weeks and result in another 10 point Rules Forum enquiry LOL). Secondly – “choose” is an interesting choice of words. Does this mean she does not “target”? This could have serious ramifications if it is defined differently to “target” – for example, she would make an excellent counter for untouchable Mask Ring teams protected by ‘Raven – Azeroth, Metrion, Zinthos!’ if this proves to be the case. She’s got a little bit more going on offensively against the ‘Dwarf Wizard’ too. It’s not a huge difference, but the little boost in attack (admittedly with a lower defense) could be useful. And finally – she’s a Villain. As if they didn’t dominate Limited affiliation formats enough, they throw this lovely piece of control in the mix for the bad guys. I suspect she’s going to be a big player in next season’s WKOs. I’ve not figured it out yet, but I think there’s something in the recesses of my mind that’s telling me this could be a fun card to use. The idea of using another card’s text is an interesting one, and I have experimented in casual teams with the likes of ‘Warth’ and ‘Taskmaster’ before now to create some interesting combos. 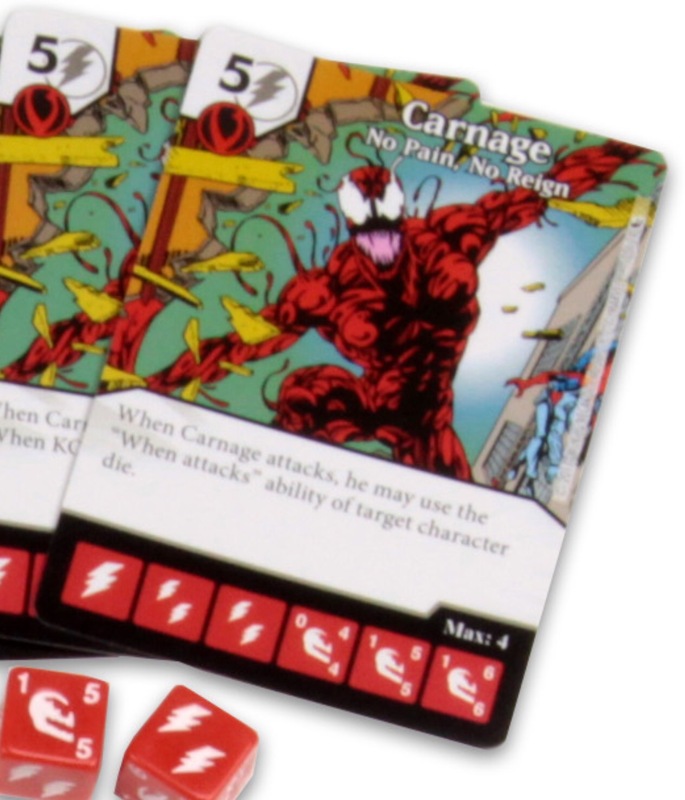 I think what’s making ‘Carnage’ stand out is his stat line – I think that’s some pretty nice stats for the fielding costs – and I’m thinking “what if there is a ‘when attacks’ game-text on a weenie that would be lovely on a beefier character?”. Thing is, and the reason why I said I’d not figured it out yet, is that no particular ‘when attacks’ ability springs to mind at 1am as I write this. So it’s a hunch on this one – something about replicating “when attacks” game-texts onto a beefier character is seems to be resonating with me, I just can’t pin down the specifics. Really!?! Another ‘Captain America’ card. 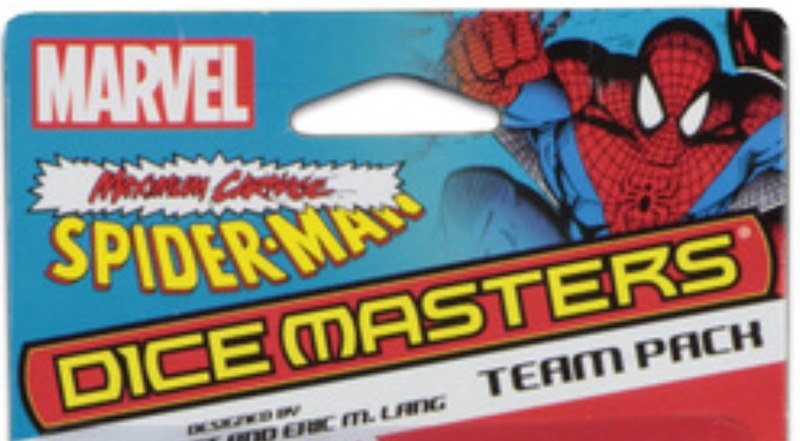 I’m not too familiar with the Maximum Carnage story line, but I know he was in it, I’m just saying – couldn’t we had someone more specifically Spider-man related – like the rest of Carnage’s little murder squad. 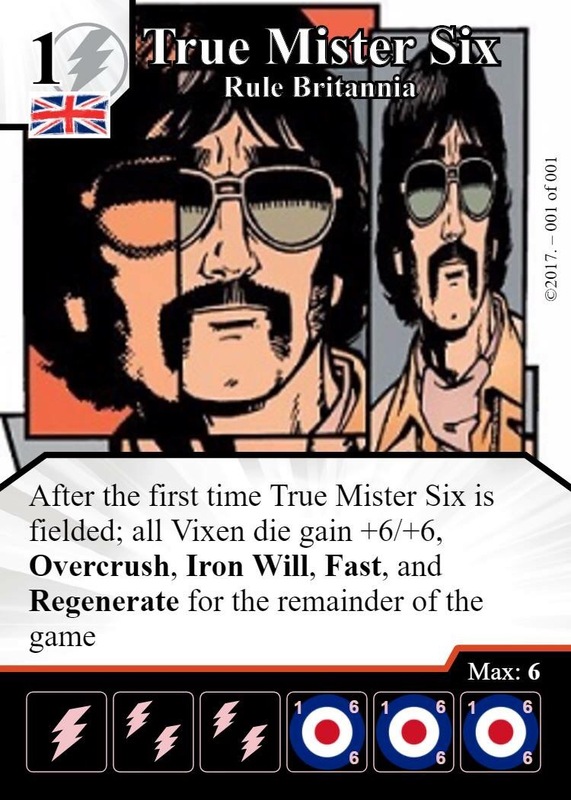 I’m also a bit ‘meh’ on his game-text. Considering he’s one of the headline acts in the Marvel IP you’d think they do more right by him. I get it’s thematic, but I’m hoping one of the other two stand out a bit more. As far as playability goes I can’t see him adding much value compared to other cards out there. 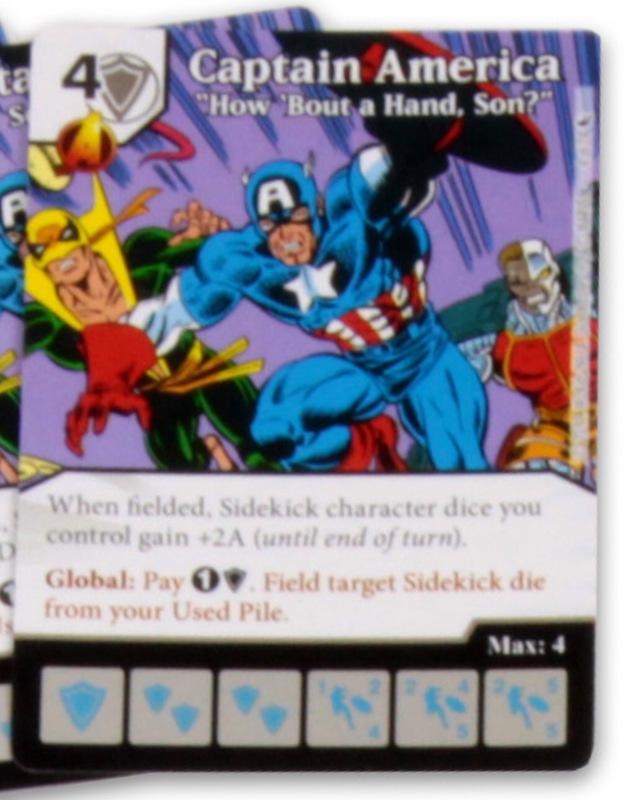 In a Golden Age “Flying Sidekick” set up, there are attack bumpers who give a static boost rather than a one shot ‘when fielded’ that this card offers. The Global is interesting, but again, if I was eager to be fielding Sidekicks (say – to support a SR ‘Darkseid’ swarm strategy) I would be more inclined to go with something like ‘S.T.A.R. Labs’ for a Sidekick fielding Global as it gives me a bit of Prep ramp too. So – a bit disappointing this one. There you go then folks – my first look impression on the spoilers.